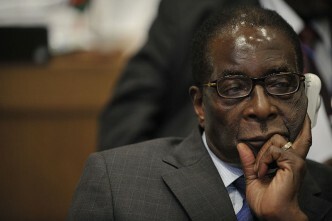 Another Zimbabwean election, another Zanu-PF victory, another cry of ‘foul’. And another pile of bodies. The more things change, the more they stay the same in the southern African nation. Or so it seems. As the dust and gun smoke settle, two very different narratives are emerging, as a number of commentators have noted. There’s nothing new in that, to those familiar with Zimbabwean electoral ritual. For the opposition MDC-Alliance, bitter anger has replaced naive euphoria, its expectations smashed by this latest drubbing at the hands of the ruling party, Zanu-PF. The only explanation, it contends, is massive rigging by an ossified regime that hasn’t really changed, bar the absence of Robert Mugabe. The brutal reaction of security forces to street protests over the vote, during which (officially) six civilians were killed and 14 injured, is grist to this well-worn storyline. 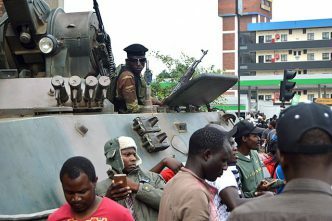 Naturally, Zanu-PF’s version of events may be found in its traditional place at the opposite pole: this was a clean break from the Mugabe era, brought about by a clean vote—one underwritten by electoral reforms (such as biometric voter registration) and strenuous efforts to create a peaceful campaign environment. It was tarnished only by the MDC hooligans who took to the streets and the ‘tragedy’ that resulted. Leaving aside the customary international supporters of Zanu-PF and/or of ‘non-interference’—the African countries, Russia and China, among others (which have already ticked off on the vote)—the MDC’s perspective would ordinarily carry the day in the West. 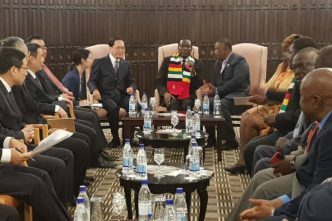 Zimbabwe would drop off the radar again, cast for another electoral cycle into the darkness reserved for other pariah states such as North Korea. And there are some international opinion makers who have been quick to damn the regime in time-honoured fashion. But things will not be so simple this time around. With the election over, there will now be a real and fierce battle over international legitimacy, rather than usual, pro forma appeals to existing allies. It’s a contest that will impact the country’s short- and medium-term future—and maybe its longer-term destiny, as well. 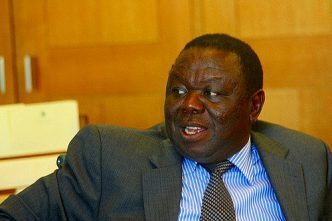 Hopelessly powerless, the MDC’s one remaining card is the sympathy it has in the West, and it has a reasonable prospect of wrecking the reputation of president-elect Emmerson Mnangagwa, just as it worked to undermine Mugabe’s. 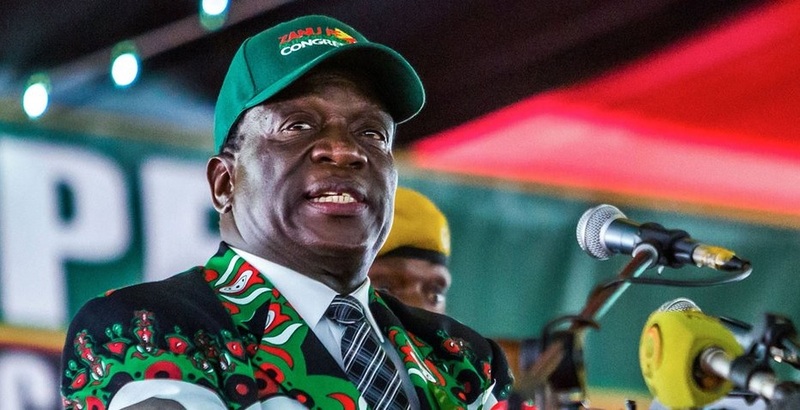 Mnangagwa, for his part, is determined to secure the Western funds—both private and institutional—that he needs if he is to have any chance of rebuilding Zimbabwe’s economy and lifting Zanu-PF out of perpetual crisis mode. It is this extended hand that has made the post-mortem so much more complex for the West this time around. Mnangagwa has continued to say all the right things. He dispensed with Mugabe’s black-and-white anti-imperialist stance after his old boss was overthrown in November 2017—and he has held the line since the election, playing the statesman despite the shrill response of the opposition and widespread condemnation of the security forces’ disproportionate crackdown. The lessons Mnangagwa imbibed were, roughly: keep the doors open, come what may; and touch not their sacred cows. Adhere to these principles, and one can get away with pretty much anything—and be paid to boot. This strategy works because it intersects with the paradox of altruism and pragmatism that marks the Western foreign-policy culture. A consistent (if ostensible) openness creates a sense of sincerity and integrity, and, in turn, breeds doubt about the negative signals that might otherwise be interpreted more unequivocally. Yes, people were killed in the streets—but was it perhaps the hardliners in the military who issued the order? Hasn’t Mnangagwa ordered an independent investigation? And didn’t opposition leaders contribute by inciting their supporters? Likewise, there were anomalies in the management of the elections, but where is the concrete evidence of systematic rigging? 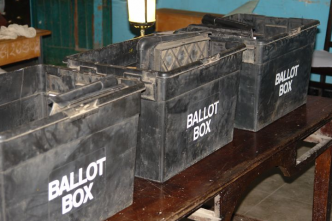 Is it reasonable to expect the first post-Mugabe elections to meet first-world standards? And isn’t it true that the MDC has demonstrably engaged in hyperbole on many occasions? As indicated by the European Union’s preliminary report on the elections—which contained a bit of everything, from condemnation to praise to cautious neutrality—these are the kind of debates that will now be occurring behind closed doors in the Foreign Office, the State Department and elsewhere. Where Mnangagwa and co. are definitively caught red-handed—and the occasions will be fewer than the opposition hopes (the evidence is usually buried deep enough to be irrelevant by the time it is unearthed)—Western pragmatism will act as a counter. It is here that some of the sacred cows become a factor. Mnangagwa is a hard man, to be sure; but is he not determined to reform the economy, which will benefit all Zimbabweans—and Western business—after the madness of the Mugabe years? Moreover, the dominance of the security sector is a fact of life, regrettable though it may be—and is there anyone better equipped than Mnangagwa to keep a lid on the wild boys in the military? The ineradicable tension between values and realpolitik is the schizophrenic voice in the head of Western foreign-policymakers. It is often hard to discern the truth—and, when it is found, it is equally difficult to draw the lines between what is right and what is expedient. That is all the more the case when dealing with those who understand the nature of this tension and how to manipulate it. In the wake of Zimbabwe’s 2018 elections, Western governments need to look long and hard at the evidence—and think long and hard about what matters. Stuart Doran is an independent historian and political analyst. He is the author of Kingdom, power glory: Mugabe, Zanu and the quest for supremacy, 1960–1987, which was shortlisted for the 2018 Alan Paton Award for Non-fiction. Image: ZANU PF on Twitter.